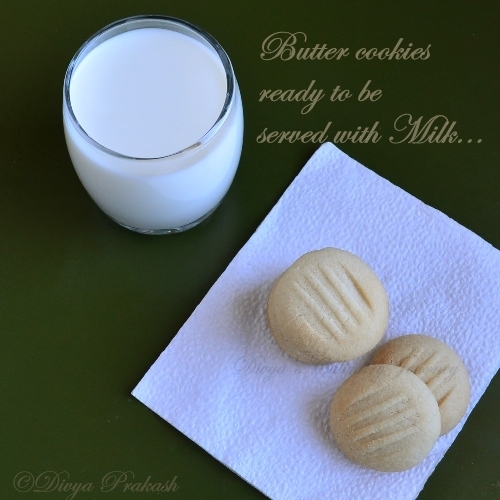 Today's recipe is Simple Butter Cookies. 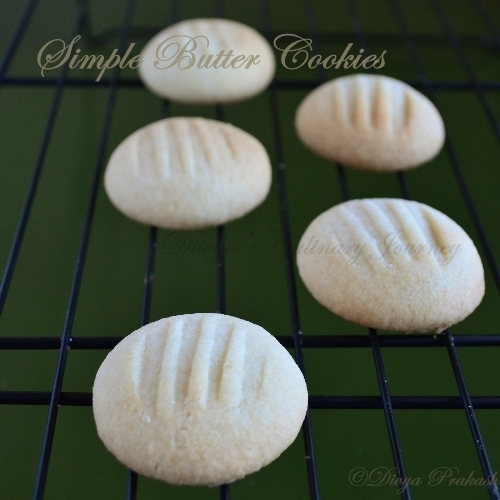 These butter cookies requires only 4 ingredients and are egg-less. I have this recipe since I started taking my baby steps in baking . 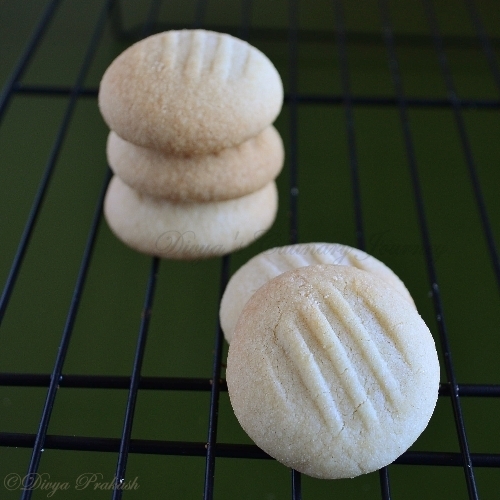 I don't even remember from where I got this recipe (obviously from internet but no idea from which site) This is a very simple and easy recipe and cookies come out delicious each time. Cookies are so buttery and melts right in the mouth. Slowly add the sifted flour to this butter mixture and mix well until all the ingredients are incorporated into a soft dough. Scoop up the cookie dough and roll them into balls and flatten them evenly into discs with fingers . You can press them with fork too. The impression is also decorative for the cookie. Place them in the cookie sheet lined with parchment paper. Bake @ 350F for 12-14 minutes until the edges are slight golden brown. The butter used has to be in room temperature to get nice cookie dough. I used one tablespoon measuring spoon to scoop the dough and lightly flattened them using fork. Absolutely crunchy n yummy bake , perfect with a cup of tea n ingredients look very simple too..
Wow, sometimes simple really is best. Have you ever tried the sweetened condensed milk version of these?